It is really important to have a motivational blog when it comes to the fitness industry. 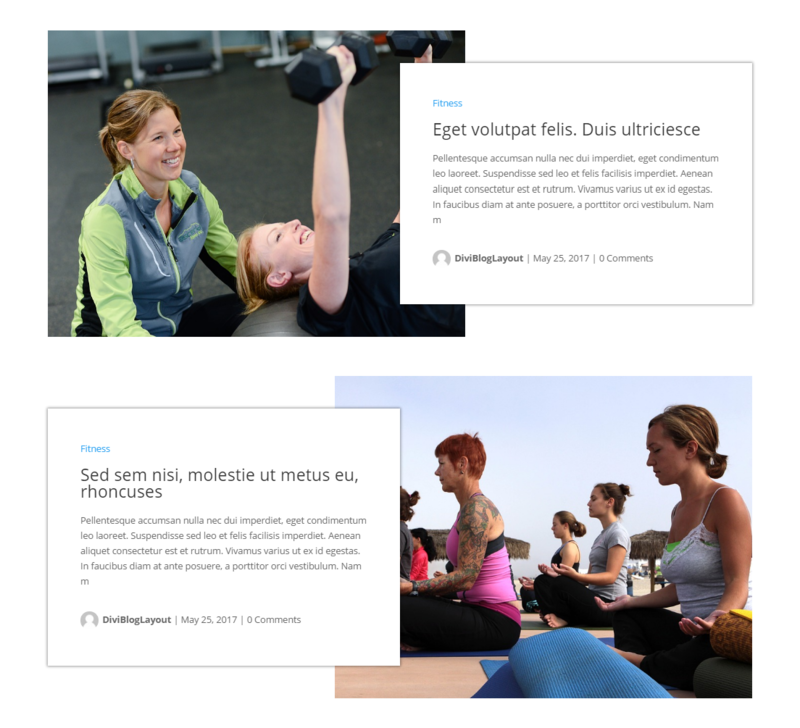 “Divi Blog Extras” provides 6 different divi blog layouts to implement on a fitness blog category page built using Divi theme. You can easily install the plugin, use the divi blog extras module on a page using page builder and get stunning category page layout for your blog ready with no coding. 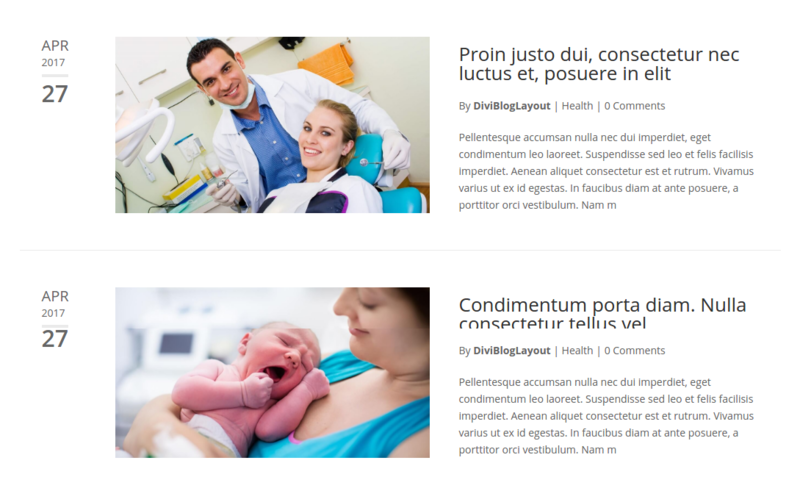 Moreover, this Divi blog module is mobile-friendly. 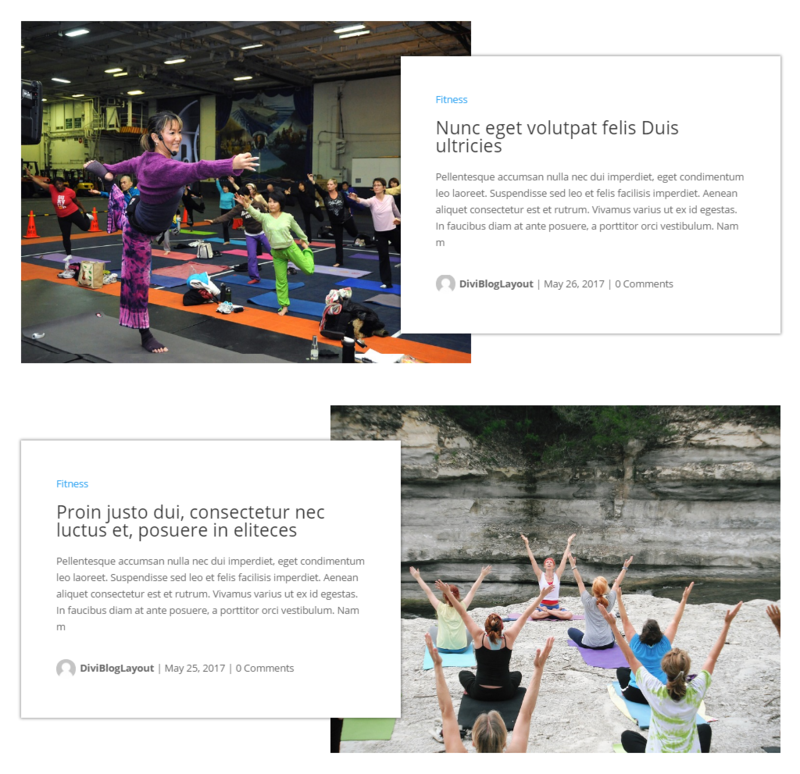 You can easily create a beautiful blog page layout on top of Divi theme for a fitness website blog like the layout above. Just install the Plugin and have modern responsive design for Divi category archive page for fitness website in couple of clicks. 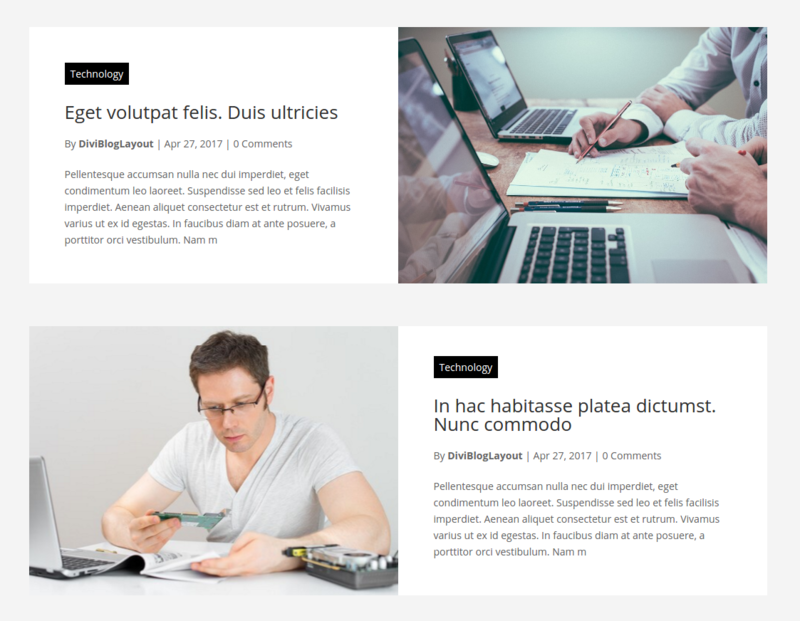 View plugin page for more options for Divi Blog Layout or Category Layout pages. 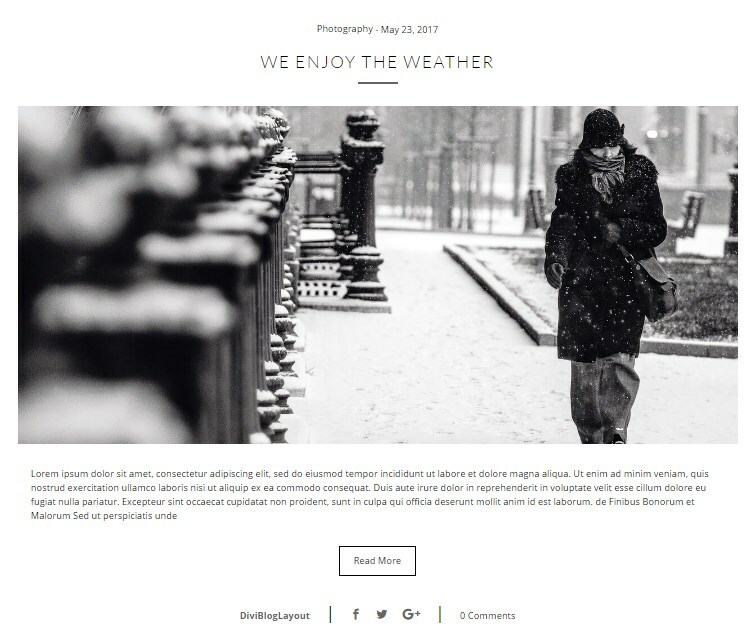 Create an elegant and beautiful photography blog page using “Divi Blog Extras”. 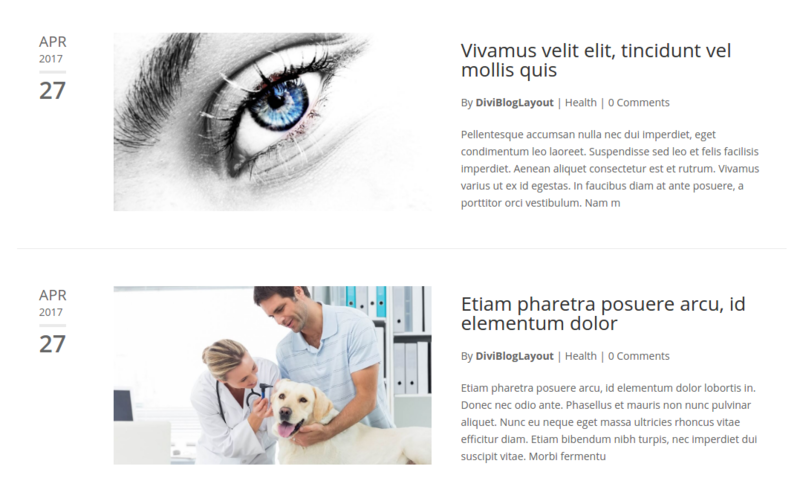 This plugin for Divi category layout works on top of Divi Theme and creates an additional module in Divi Library which has many predefined layouts to chose from. 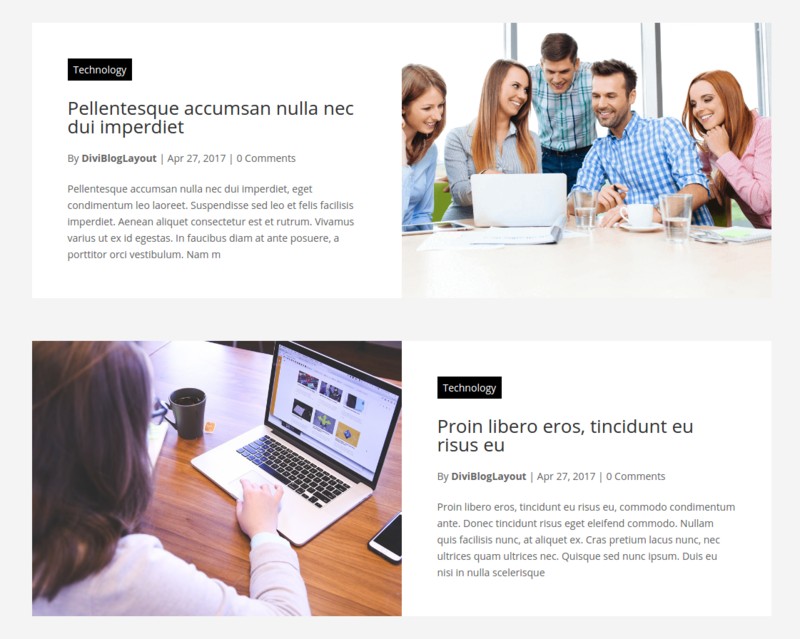 Out of many different options for divi theme blog layout, this is one implementation and there can be more layouts created for photography blog using Divi Blog Extras in minutes. Install the Divi Blog Extras plugin and add the Divi module to any page, select the layout and it’s ready to go in less than 5 minutes without any coding.